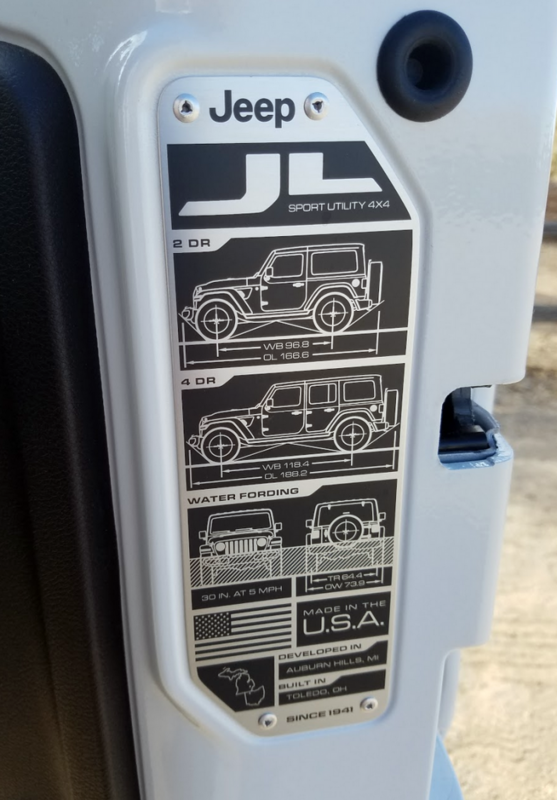 As expected, there are plenty of throwback styling details on the new Wrangler, but this one might be our favorite: a metal information plaque bolted to the swing gate of every 2018 Wrangler is inspired by similar plaques on the military and civilian Jeeps of yore. Kudos to the graphic designer on this one. Who doesn’t love tool kits? 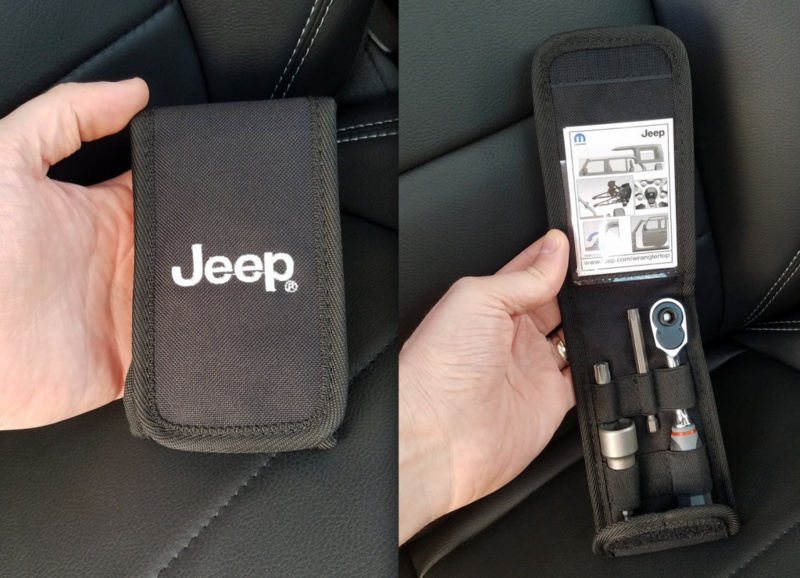 The new Wranglers come with this handy tool pouch for removing the doors, tops, and other hardware. Can’t remember which Torx head size you need to take off the doors or engine cover? No worries. This is a small detail, but it makes a big difference to dedicated DIYers. 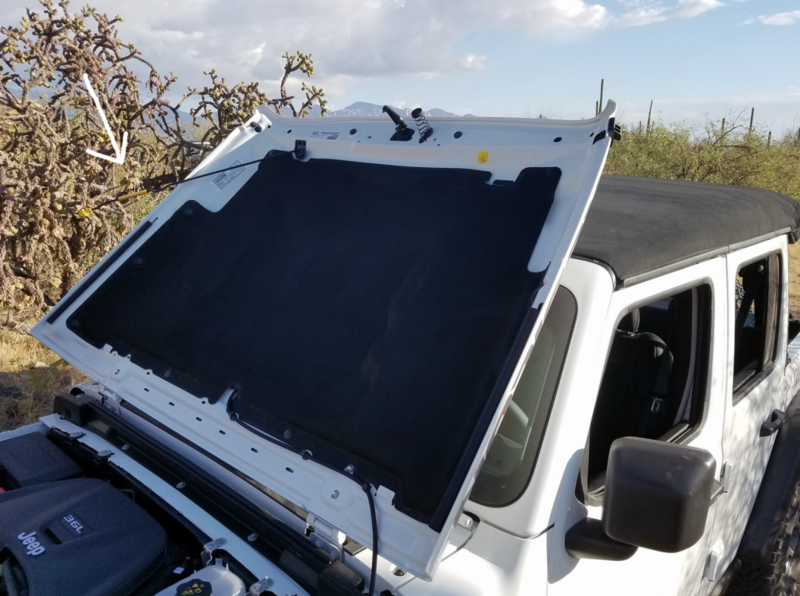 As on previous Wranglers, the JL’s hood can be flipped all the way back to rest on the windshield, for optimal engine-compartment access. That’s great, but the getting the hood all the way up there and back down again can be kind of a pain. 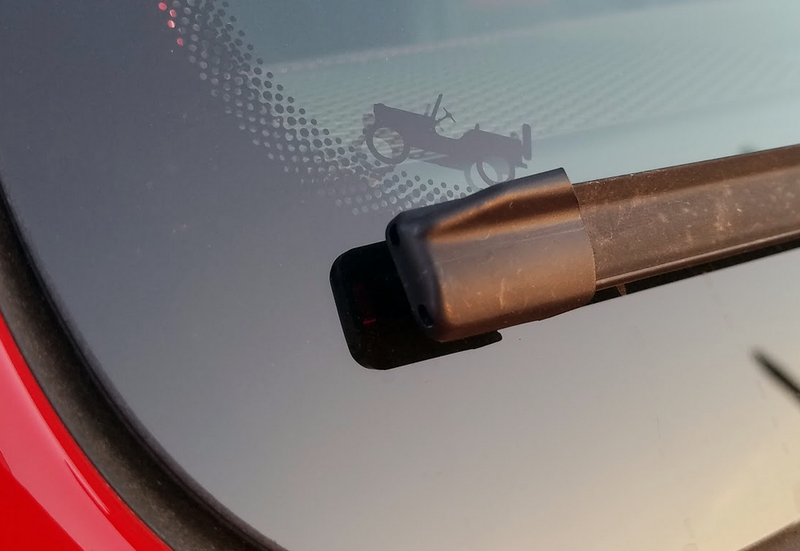 That’s where the hood-mounted prop rod comes in; it doubles as a convenient handle that allows you to easily push the hood fully open and pull it down. 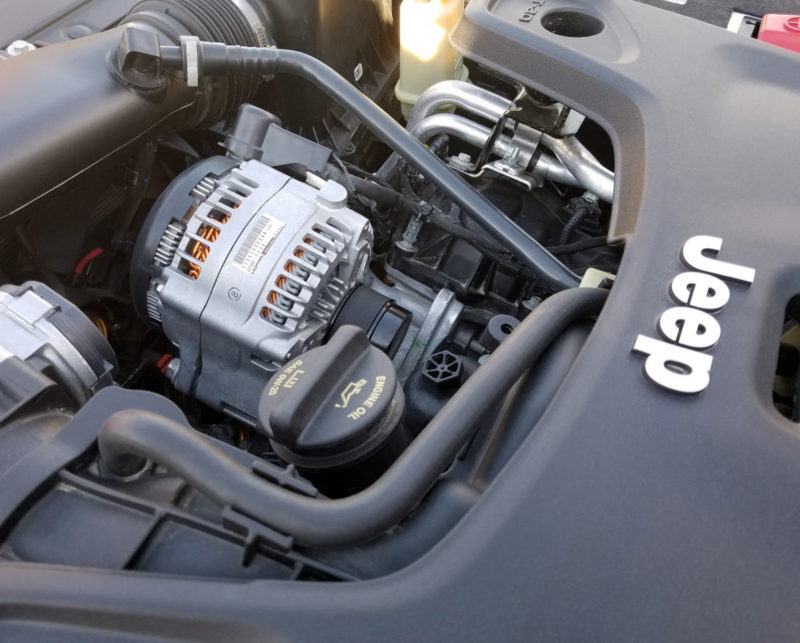 Did you know that the Wrangler V6’s alternator is mounted “backwards,” on the outboard side of the accessory belt? This unusual arrangement allows the alternator to be situated as high as possible, for better water-fording capability. 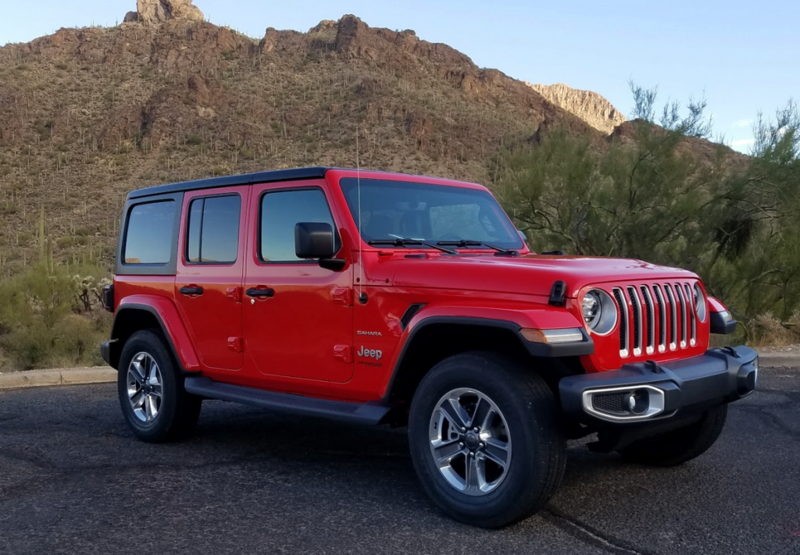 Cheating the wind clearly isn’t at the top of the Wrangler’s list of priorities, but Jeep engineers still endeavored to optimize aerodynamic performance while maintaining the iconic profile. 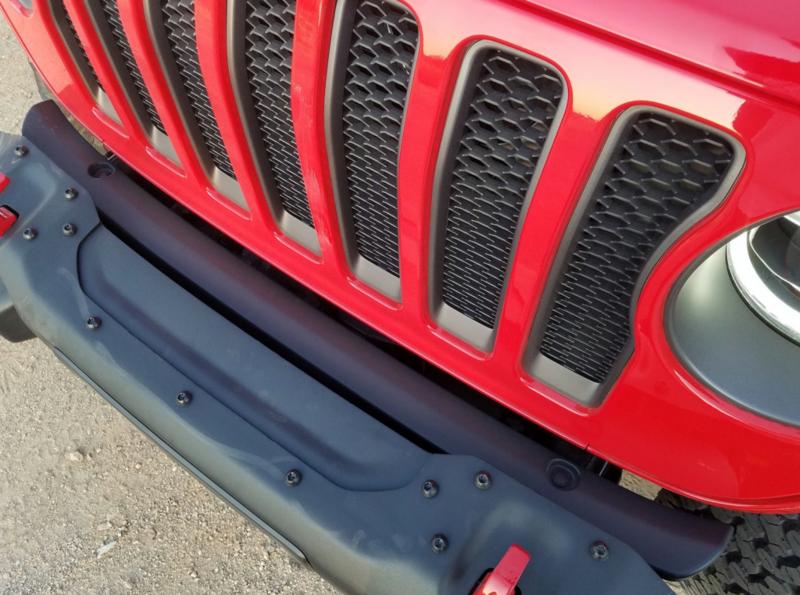 This small filler piece between the bumper and grille is one example; it creates better airflow and helps prevent air from getting trapped behind the bumper. 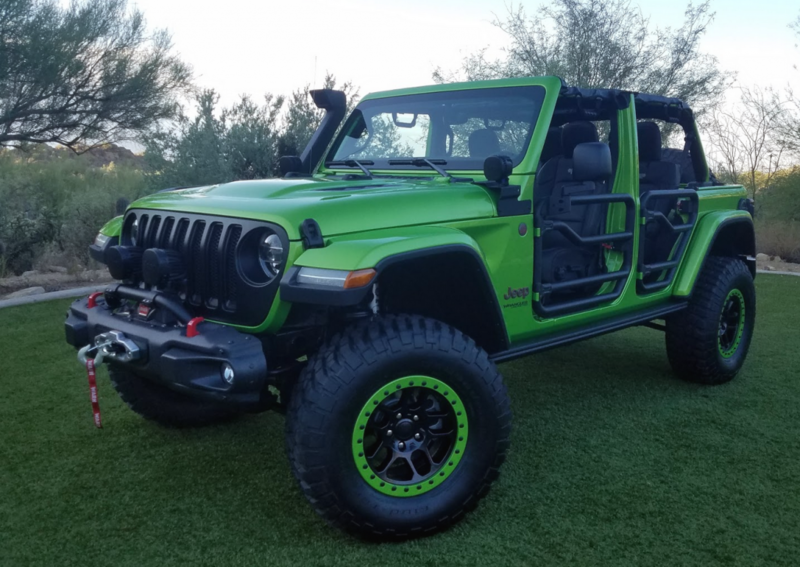 Perhaps more than any other new vehicle on the market, the Jeep Wrangler invites owner modifications and is engineered to be easy to work on and personalize/accessorize. 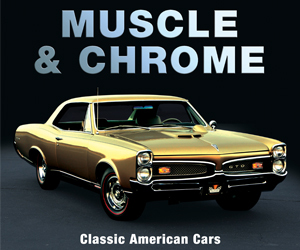 The official Mopar catalog of accessories and Jeep Performance Parts is already 200-plus items deep, and there will be a plethora of other aftermarket-company offerings as well. Jeep displayed this customized 4-door Rubicon at the L.A. Auto Show and the Wrangler’s press preview as an example of the personalization possibilities. On the topic of aftermarket accessories… note the four AUX buttons visible just above the shift lever. 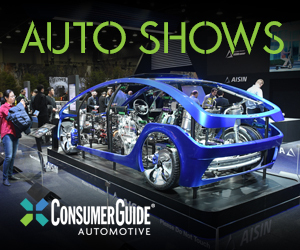 Those are pre-wired to two 15-amp leads and two 40-amp leads in the engine compartment, ready to be connected to the electrical add-ons of your choice. The AUX switches can also be programmed to be in the on position when the vehicle is started. All recent Jeep products have at least a few fun, heritage-themed “Easter egg” (Jeepster egg?) 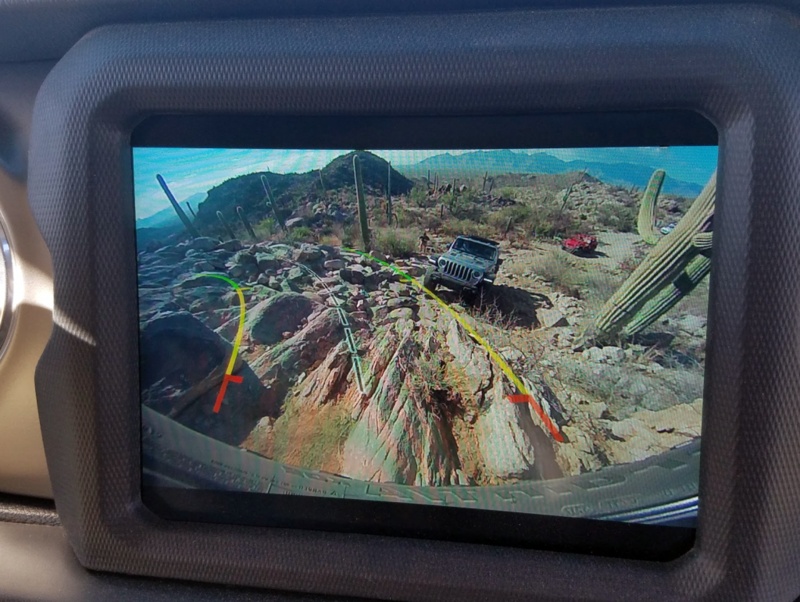 details sprinkled throughout the vehicle, and the new Wrangler is no exception. Written by: Damon Bell on December 22, 2017.on March 22, 2019.